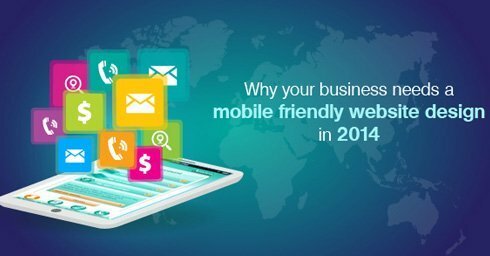 If your website is not mobile friendly, you are leaving money on the table, its that simple. Your online customers have been changing since 2007 and smartphones are leading the way. 7 years after the arrival of the first iPhone, smartphone growth has been stunning and its impact for businesses even more so. All major research companies are in agreement based on concrete data. As per Comscore™ April 2013 report, 58% of US consumers already own a smartphone. Digby Agrees too, well almost, they say 56%. 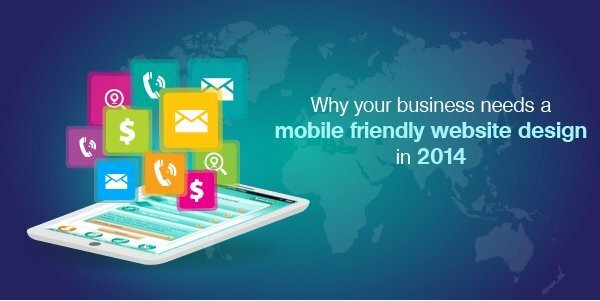 As per a study by Latitude, an international research consultancy, 61% of customers had a better impression of a brand which was mobile friendly. Mobify has 13 key stats on how mobile is changing the marketplace. Most websites today have from 10% to 40% of their traffic coming from mobile devices. This growth is very strong especially in local markets and ecommerce. More people are using mobiles to find services locally or make buying decisions for their favorite products. Your current website adapts to the device by removing elements or adding elements like banners, images, etc. Easier solution to implement and your single website will suffice. Downside is that it can have performance issues as you are only playing with visibility, the elements still get requests for loading up the website. You create a completely separate website for mobile visitors and switch between the regular and mobile website based on the visitors device. Since its built separately, performance can be taken care of and it can be very different from your regular site. Downside is it means managing one more website. What experience do your visitors expect from your mobile website? While awareness and adoption of mobile friendly interfaces is growing, for most industries, it is just not there yet. Not all your competition has caught up as yet. You have the advantage of being one of the minority of businesses that have adapted to this new world of business. You get to make a very strong, positive impression as a tech aware and user friendly brand. Your business come across as a more professional and proficient organization. Calling you is a one click process (Hint: keep number different than your main site for better tracking). Your secondary call to actions are also just a click as most mobile users are already logged into some social channel. Search Engines in general and Google in particular are more focused on the mobile market than ever before. Due to its Android base, Google needs to satisfy its mobile searchers. By being mobile friendly you help them achieve their goal and you get the love back. Most importantly, your customers love you more too. Your existing customers can now connect with you through any device they carry around. They get a quicker response and quicker turnaround for their needs making them like you and stick around even more. Contact us to learn more about Mobile friendly websites and how we can help you get more visitors. Dharne & Company, is an Orange County web design firm offering mobile friendly website design for businesses.